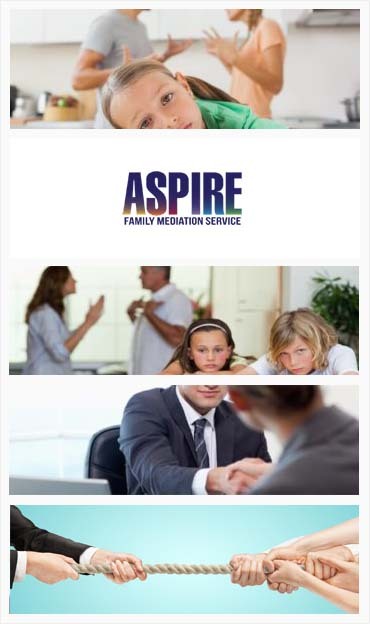 Aspire Family Mediation are here to help answer any enquires and question you may have about the mediation process. Have a look at our website and give us a call today! Claire and Nathan had been married for a number of years when they approached us as they progressed towards a divorce. They were busy professionals, in their later years of their working lives, and they had complex, inter-related, financial affairs. They owned a large house with a joint mortgage and a property in Spain. They also owned a number of shares and had multiple savings accounts. There seemed to be no way in which their financial affairs could ever be sorted out and Claire, in particular, had considered taking Nathan to court. She earned a little less than Nathan and felt that she had been held back in her career to look after the children. She wanted an additional share of the divorce settlement to make up for this lost income. Both Claire and Nathan wanted to pursue mediation when they had found out about how much their solicitor’s costs would have been. They both agreed that these fees would eat into any proceeds from the divorce and leave less for each of them. After an initial meeting to confirm that this would be a suitable case for mediation, we progressed to a series of mediation meetings. Our experienced and professional mediator was able to help the couple to consider all of the financial issues which they might have to deal with now, and in the future. For example, the couple decided that they no longer required their house and they would be better off splitting the proceeds so that they could pursue new lives. Nathan agreed that Claire could keep the Spanish property as long as that meant they could split the other assets on an equal basis. The couple signed a Memorandum of Understanding (MOU) which they both created and which was in their mutual interests. This not only covered current, but also future, financial arrangements so that both Claire and Nathan could each pursue an independent, secure, financial future.